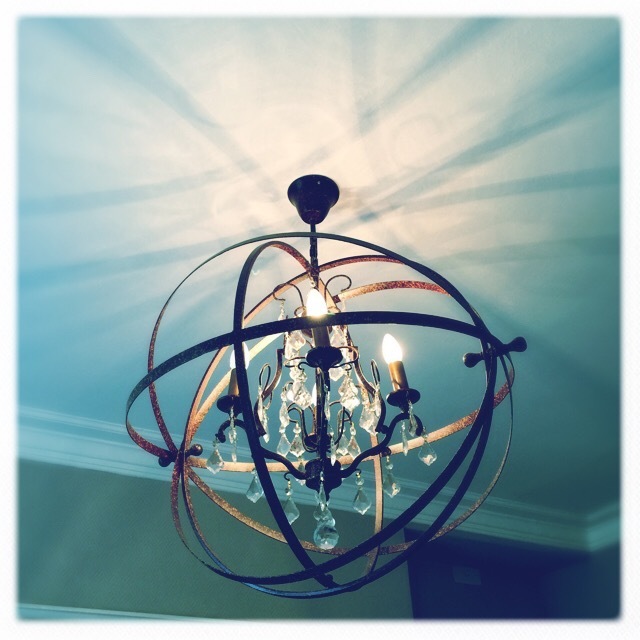 Firstly I forgot to take a shot of the outside of our hotel, but did think the light fixture in our room was very funky. 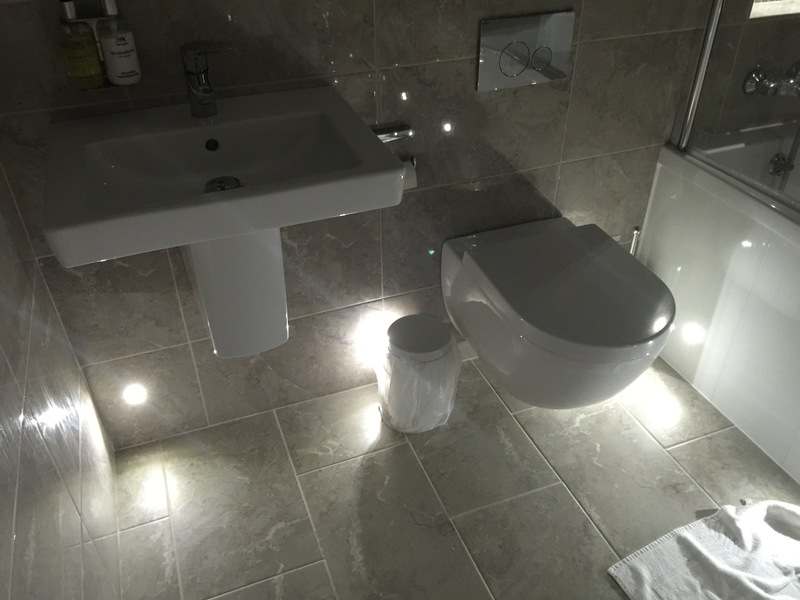 Also we had mood lighting in the bathroom lol, they were blue LED’s and looked very pretty. You can see part of the old city wall here, and this is the exact place Princess Margaret, who was Henry VIII sister, entered York on her progress up to Scotland, after she was married by proxy to James IV in 1503. Booth Bar was the main gate we entered the city through on the short walk from our hotel, and stone men look down upon you. There are 4 bars of York, I already showed Micklegate Bar in my previous post here. 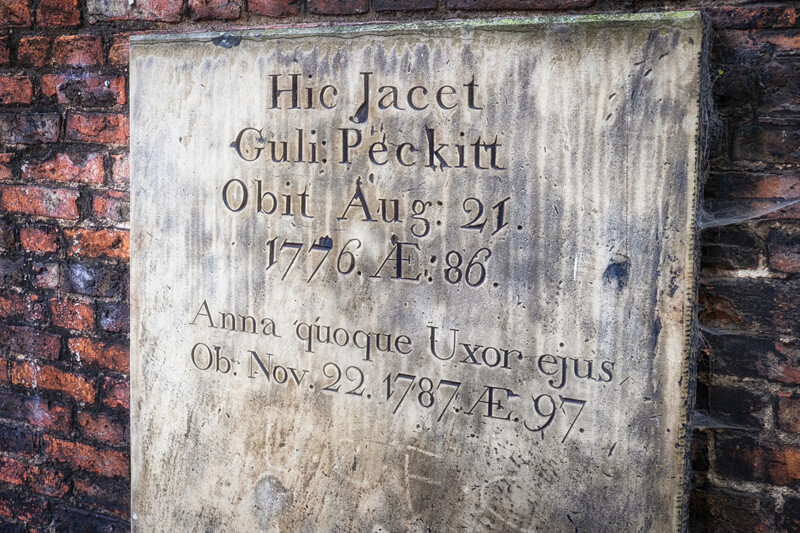 on our first day we stopped for a coffee and sausage roll and sat down in a little square between two buildings, there were gravestones fastened to the wall, this one struck me for the date, and the Latin. All Saints, such a beautiful church, it dates from the 14th century, but there has been a church on this site for even longer. The earliest mention was in the Domesday Book (1086), and an Anglo-Saxon grave cover, dating from the 10th century, is the earliest evidence for a burial ground. One tradition even claims that All Saints was built in 685 AD for St Cuthbert. The elegant lantern on top of the tower is visible from many parts of the city. It was built around 1400. Throughout the mediaeval period, the light was kept burning at night to guide travellers into the city through the wolf-infested Forest of Galtres to the north. The beautiful glass of the huge 14th century west window depicts the Passion and Resurrection of Christ. The pulpit, with its sounding board to reflect and amplify the preacher’s voice, dates from 1634. All Saints, The Pavement Church. 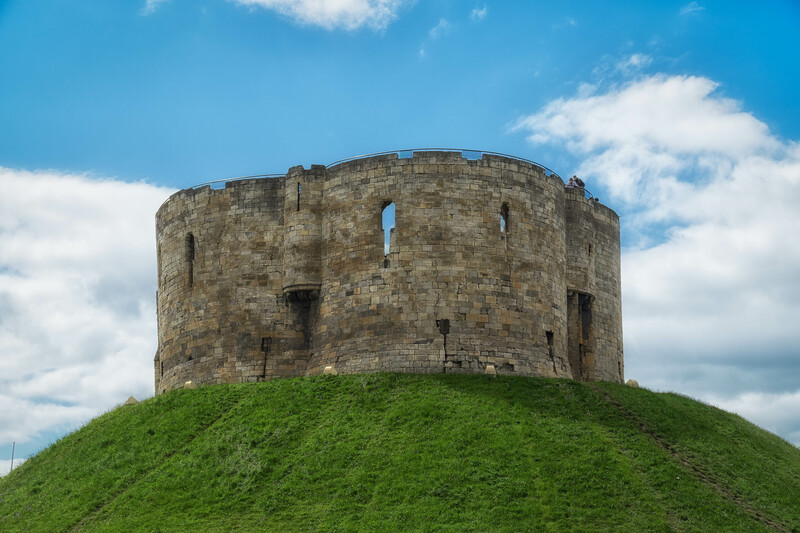 Clifford Tower has a long and bloody history, the original mound of Clifford’s Tower, with a timber structure at the top, was constructed by William the Conqueror in 1068 as a statement of his power over the region. This building stood for just over a century before being burnt down in one of York’s bloodiest and tragic moments, when, in 1190, 150 Jews were massacred on the site. Between 1190 and 1194, it was repaired at great expense, and the mound was raised to its present height. The second timber structure was destroyed (this time by a gale) in 1245, and then when we were at war with the Scots, Henry III ordered the tower to be rebuilt and strengthened, this time in stone. 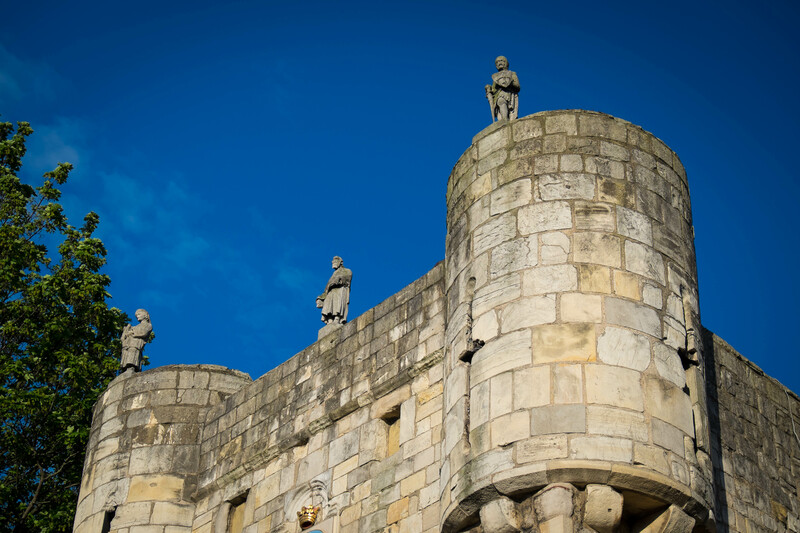 After being decimated by fire, wind, and even water (the castle sunk into the moat causing the walls to crack in the 1350s) the next challenge came from a very unlikely source – the castle’s jailer, Robert Redhead. In 1596 he began demolishing the tower and selling the stone as building material ‘for his own profit’. 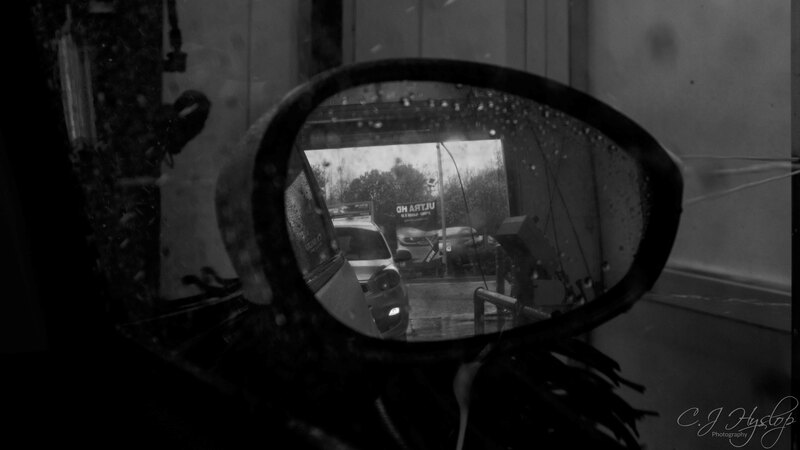 He was only stopped after prolonged protests by the city council. It later became a garden ornament (albeit a large one) until it was incorporated into the extensions of York’s prison in 1825. 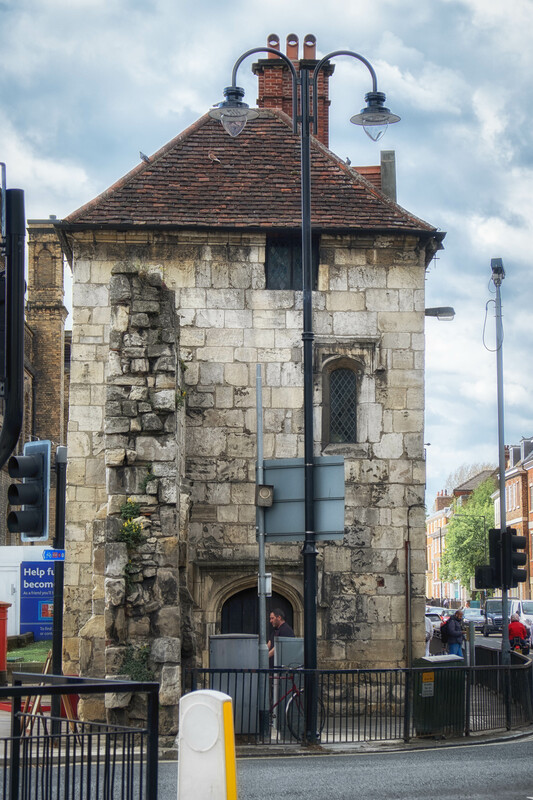 Over the centuries the tower has regularly been threatened by demolition or neglect and yet still it stands, a proud, if somewhat decayed, monument to York’s turbulent and bloody past. Why Clifford’s Tower? The name may well be a reference to the fact that Roger de Clifford was hanged at the tower in 1322 for opposing Edward II, or to the Clifford family’s claim that they were the hereditary constables of the tower. Another building that I can’t remember what it was! These unassuming, plastered timber-framed cottages with pantiled roofs date from 1316 when a deed was granted for their construction in the Holy Trinity Church grounds. 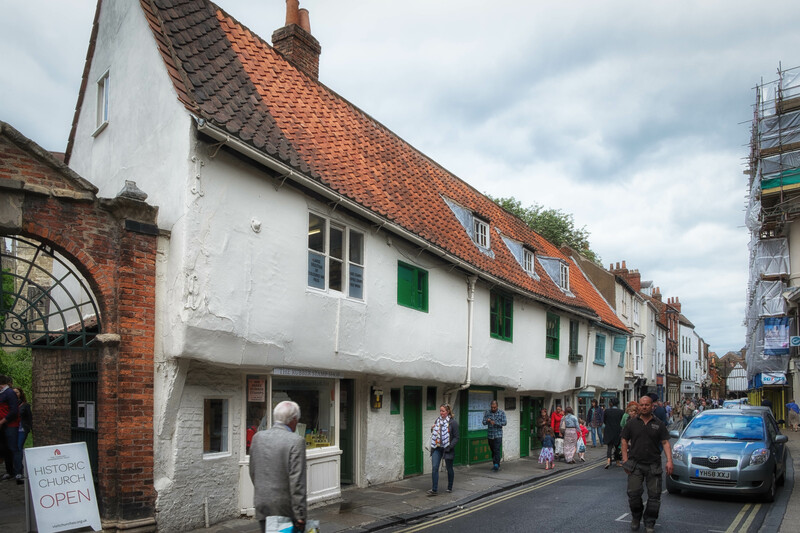 They are the oldest row of houses in York and one of the earliest examples in England of the medieval ‘jettied’ houses, whose upper story protrudes – or ‘jetties’ – outwards above the lower part. Built within the ancient churchyard with a separate house for the Chantry Priests the rental income, a considerable sum of money, funded the church’s maintenance and contributed to the Chantry endowment costs on a regular basis. Holy Trinity Church, Goodramgate, stands in a small, secluded, leafy churchyard, with the Minster towering behind. To visit, you pass through an 18th-century archway tacked on to buildings that served as artisans’ workshops in the 14th century. 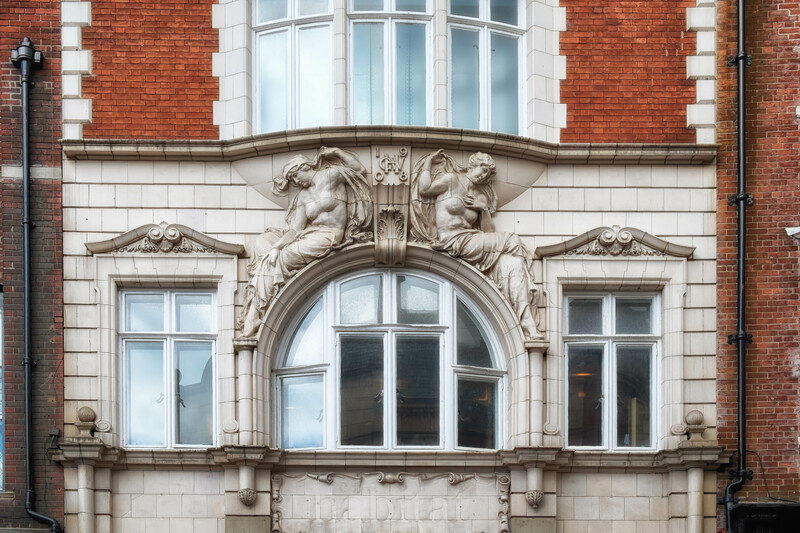 The building dates chiefly from the 15th century, but has features from its foundation in the 12th century right up to the 19th century. 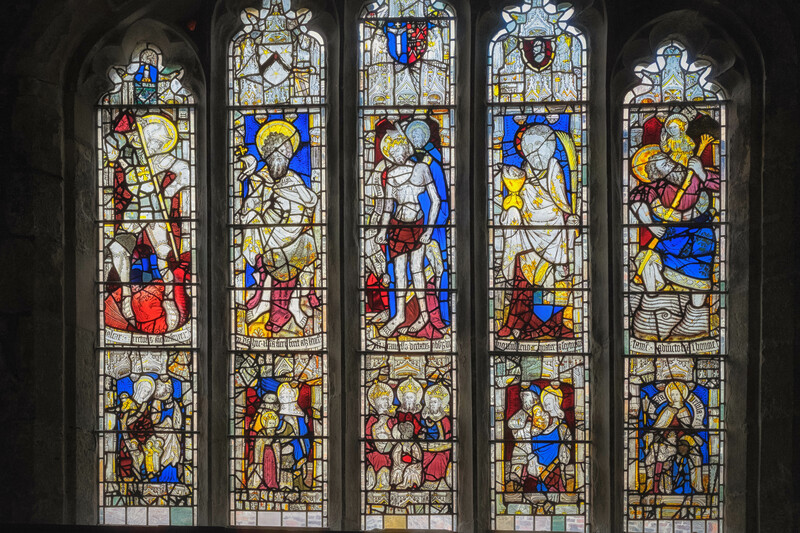 The east window especially has marvellous stained glass that was donated in the early 1470s by the Reverend John Walker, rector of the church. 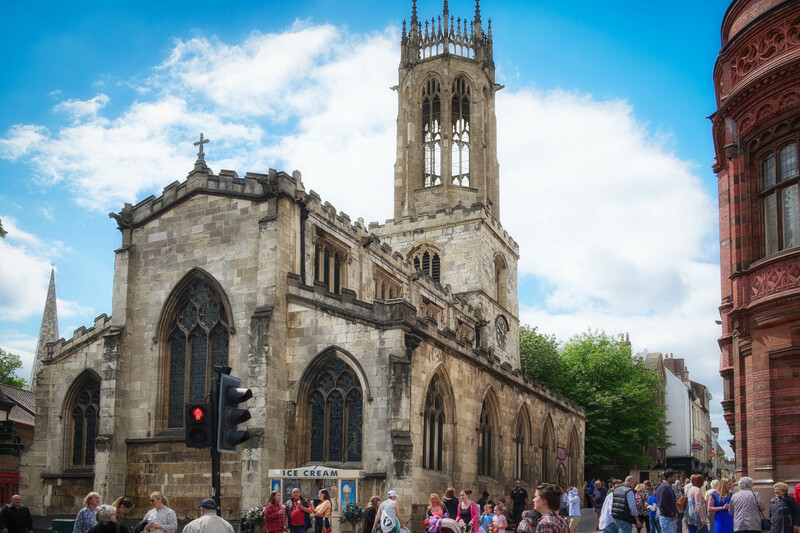 St Michael-le-Belfrey is the only church in York to have been built in the 16th century and is the largest pre-Reformation parish church in the city. 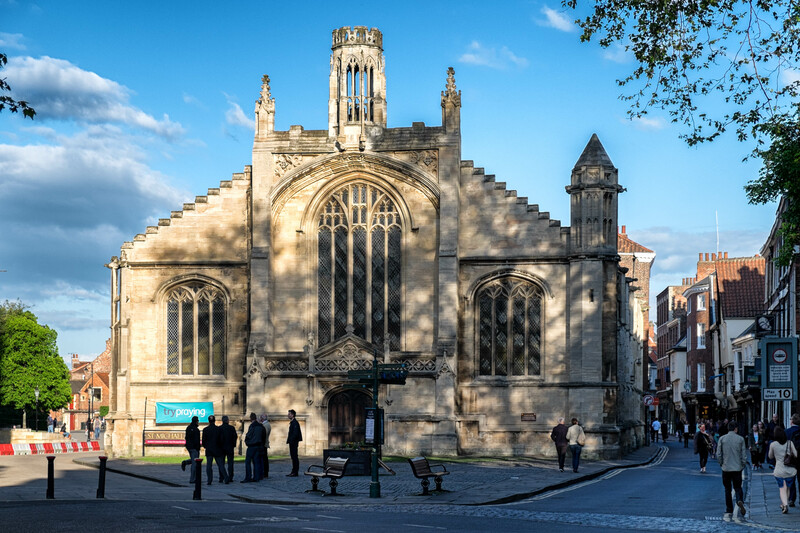 Guy Fawkes the infamous Gunpowder Plot conspirator, lived in nearby Petergate and was baptized in this church. An enlarged page from the church register recording his baptism is displayed inside the church. There was a service just finished when we went in with loads of people having coffee, so I didn’t get any good photo’s as it was a bit embarrassing! 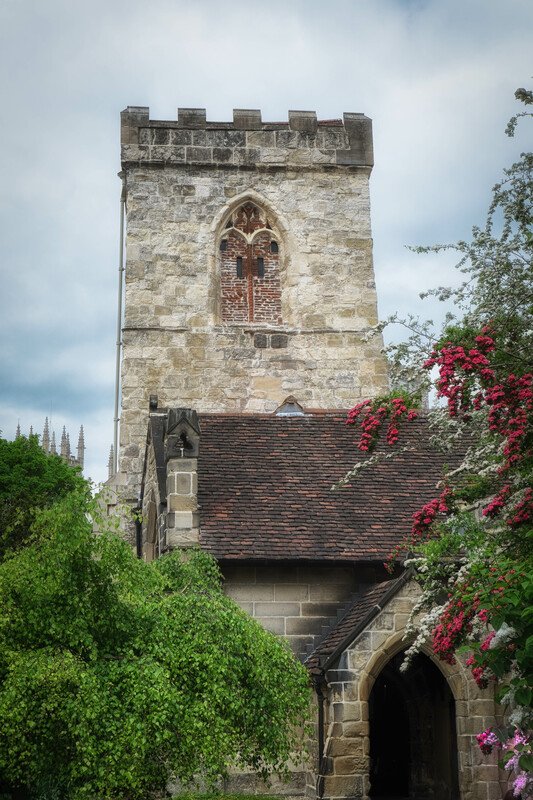 Posted in Church, Fuji, History, medieval, photography, uncategorisedTagged All Saints Church, Clifford Tower, fraggle, Fuji XT1, Holy Trinity Church, St Michael Le Belfrey church, YorkBookmark the permalink. The tower up on the hill is such a pretty image I can hardly believe it’s not a postcard.